Keeping track of St. John the Catfish’s* positions on whether the State should grant early release to certain state prisoners involves more back and forth than a Saint’s season. This week, we were treated to a commercial from Senator Vitter’s gubernatorial campaign regarding Rep. Edwards’ (hereinafter “the Catfish”)’s most recent pronouncement on the issue which was set forth in a speech he gave at Southern University. In that Southern speech, our friendly catfish noted, “We will be number two in the nation in incarceration rates when I’m finished because it’s going to require us to take 5,500 inmates out of our prisons.” Presumably he’s talking about non-violent, mainly drug offenders. And presumably when he’s talking about taking them “out of our prisons,” he implies that they are there in the first place. Except there’s one small problem: the voting machines. Where was St. John the Catfish on this bill? Surely a man who has “never supported reducing our incarceration rate by releasing criminals from jail” voted against this bill that would do just that? Nah. The Catfish, along with a mere 56 of his House brethren, voted yes. What about HB 1026 from 2012? It reduced the time that certain non-violent prisoners have to serve before becoming eligible for parole from one-half to one-third of their total sentence. Surely, surely, surely the Catfish voted against such a travesty? Nope. He, along with 92 other House members voted yes and the bill ultimately became law. In all fairness, the Catfish has lived up to his name and been against some bills (before he was for them?) to allow more lenient early release. In 2013 he voted against HB 442 which, after passing and becoming law anyway, allows certain prisoners convicted of drug offenses to leave jail early in order to get treatment for their addictions. So. 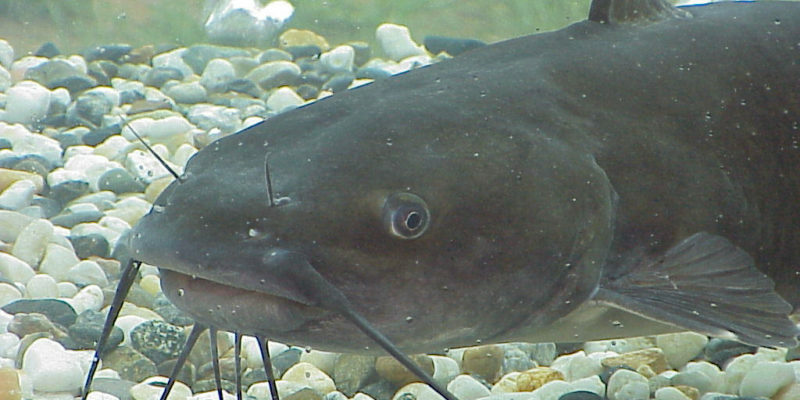 Where does St. John the Catfish stand on early release? Who knows. That catfish is slippery. * Gov. Earl K. “Uncle Earl” Long on an opponent: “I said he had a … mouth like a catfish; he can talk out of both sides of it, whistle and lie all at the same time and I can prove that.” Oh yeah.